“HOFest” EP 1 Art Carnival starts from 14th November 2014 to 18th January 2015. 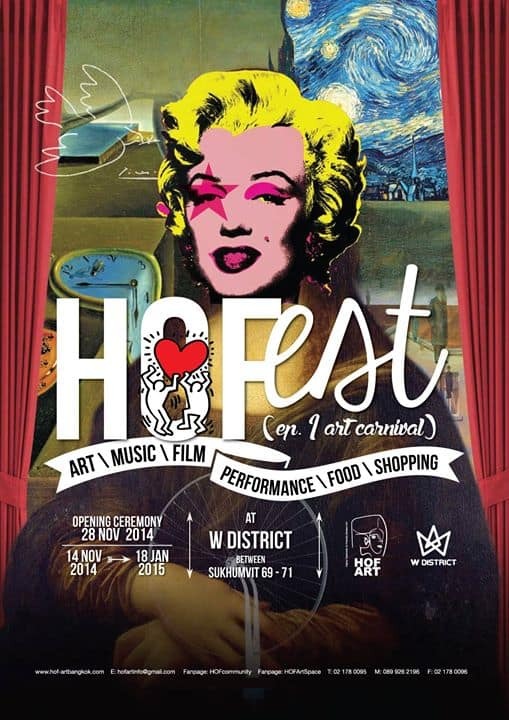 HOF Art invites everyone to join our biggest art Festival “HOFest” Ep 1 Art Carnival. For welcoming the new year, we will host this annual art festival to make the special moments for all of us, “HOFest” will present the superlative of HOF: The highest optimistic and the friendliest, and it means HOF Festival as well. We invite all of our artist friends to come here for gathering their smiles, creativities and happiness. There are more than 400 pieces of art from the fresh artists we select in this affordable “HOFest”, you can enjoy a lot of fun and new energies from those gifted pieces during 14th November 2014 to 18th January 2015.